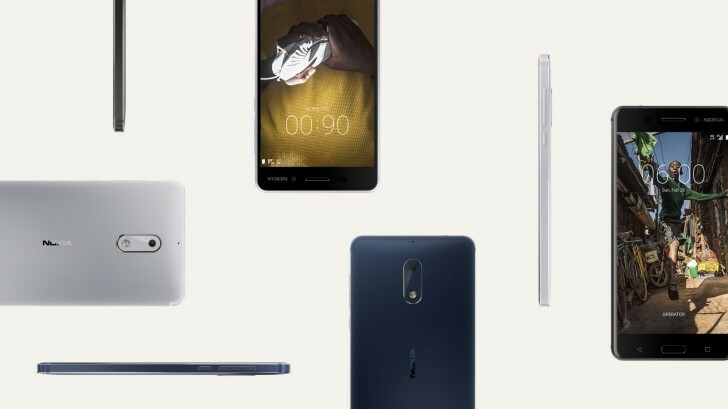 HMD announced three Nokia Android smartphones yesterday (plus the 3310 (2017) homage of a feature phone), and we got to spend a few minutes of hands-on time with them. The folks over at fonearena have spoken with Ajey Mehta, India VP at HMD Global, revealing some details on the manufacturing and logistics. The Nokia 6, 5, and 3 will be manufactured in Foxconn's Indian facilities from the very beginning. A launch date has been planned for June this year, and distribution will take place both online and offline through a network of partnering stores. After-sales support will be handled by HMD, which will establish a network of service centers throughout the country. Official pricing hasn't been announced yet, but, with phones being made locally, logic would dictate that the numbers should be lower than a simple EUR-to-INR conversion.